Share the post "Album review: WAKE THE SUN – Through The Night"
It is hard to believe that Wake The sun have only been together four years, having released an EP that took on a touring life of its own, the band now release debut album “Through The Night”- a southern tinged album, packed with song writing that is both fresh and original, and complete with a vocalist (Dillon Mealey) whose voice is emotionally rich, this is an album that I cannot recommend highly enough. 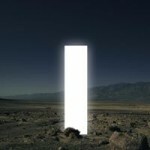 Whether it be the great Southern Baptist feel of “What’s My Name”, the atmospheric “40 Days”, “Keeping Me Up”, which is a slower track that is literally rippling with ambition, the song writing quality throughout “Through The Night” is some of the strongest I have heard from a relatively new band for a long time. The album closes out with a couple of songs that no doubt sound great live, “Honest Man” and “Muses”, the pair of which feature big, dirty guitar and bombastic drums- thus showcasing the quality of musicianship in guitarist Tommy Perrotta, bass player Jeffrey Alvarado and drummer Marco Gill. This entry was posted in ALBUM REVIEWS, ALBUM REVIEWS (Mobile), All Posts and tagged album, debut, melodic, modern rock, review, rock, Through The Night, Wake The Sun. Bookmark the permalink.